Each and every one are sure to enjoy Latvia's captivating countryside rich in cultural heritage while at the recreation/relaxation lodge “Ezernieki”. Serenity and harmony immediately come to mind here, with deep green forests, a lovely lake and tidy surroundings. Comfort is guaranteed in a lodge room (with all amenities), or if you choose to stay in your camper. Guests can choose from a number of varied rooms, have access to the sauna and the lake. Sportier activity includes rowboat rides, beach volleyball, bicycle outings, strolls through the woods. All rooms are WC/shower equipped; kitchens are available, and we are able to accommodate those with special needs. Those traveling in campers will be pleased with the peaceful lakeside clearing especially for them. With space for 30 campers at one time, we have had satisfied customers from such foreign countries as Netherlands, Belgium, Germany and France. 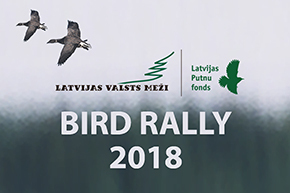 Latvia's largest lake – Lubāns, a paradise for bird watchers, is 20 km away from “Ezernieki”, while just 25 km away are the natural reserves at Teiči and Krustkalns. Our guests are extra-special, and we welcome one and all. Hope to see you soon here at “Ezernieki”!